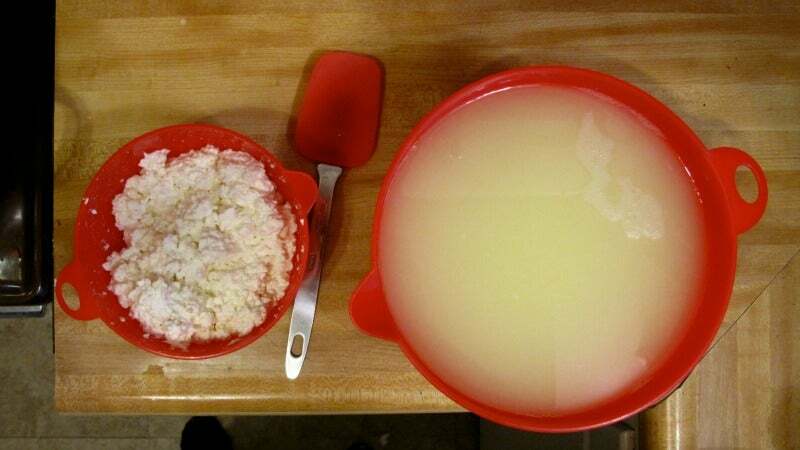 If you make your own Greek yoghurt or ricotta you know that there is usually a fair amount of liquid (known as "sour whey") left behind after straining. What you may not know is that it has many uses, and pouring it down the drain would be a kitchen crime. Photo by Cecillia. Sour whey is more acidic than its sweet counterpart, which is left over from making harder cheeses like cheddar, but it's just as useful. It's mostly water, but both types of whey contain good-for-your-gut bacteria, vitamins and protein. Sour whey has a tart, pleasantly funky flavour that can add complexity and depth to a variety of dishes. Use it as a finishing liquid (like you would lemon), as a broth for braising meats or cooking beans and grains, or add some to your morning smoothie or evening cocktail; it froths up very nicely when shaken. Thanks. I never knew this.